For an “idli-hater” that I was, it is a big surprise to me that I’m trying so many types of idlis. Over the past couple of months, I have been affected with “whole grain fever” and this has made me include whole grains in almost all the dishes I cook. I’m going to blame a lot of food blogs for this condition of mine. This includes DK, Usha, Priya just to mention a few. I started incorporating brown rice while grinding for idils after seeing Jai and Bee’s whole grain idli recipe. I started with 1/2 cup then moved to 1 cup and now 2 cups of brown rice. I have still used 1 cup of white rice. These brown rice idlis were as soft as their white counterpart. No difference in texture but a change in the color though. The idlis are not as white as the usual idlis. I don’t think there is any reason to hesitate using brown rice while preparing idlis. Wash and soak the brown rice and white rice together in water overnight. Add water until its 1 inch above the level of rice in the vessel. Wash and soak the urad dal just an hour before you intend to grind it. 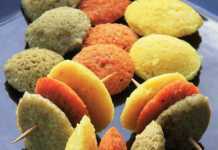 Using a wet grinder will yield softer idlis. Switch on the grinder; add half a cup of water. To this add the drained urad dal little by little. Do not add a lot of water. Adding enough water to ensure the smooth running of the stone is enough. Grind until the urad dal batter is smooth and fluffy. This may take anywhere between 25-30 minutes. Transfer the batter to a vessel. Now following the same process above; switch on the grinder and 1/2 cup of water and start adding the rice little by little. The same holds good for water too. Since it is a lot of whole grain, the rice may get stuck in between the stone and the grinder vessel and stop operating, so keep adding water in small quantities to ensure that it doesn’t stop. This rice batter should not be very smooth. Grind it until it reaches the consistency of fine semolina. I noticed that this batter took a lot more time to grind than if I used white rice alone. To this rice batter add the prepared urad dal batter and let the grinder run for another 2 minutes so that both the batters are blended well. Then transfer the idli batter to a big vessel. This vessel should have enough space for the batter to rice while it is fermenting. Add salt, oil and mix well and store it in a warm place. Leave it undisturbed for at least 12-15 hours. 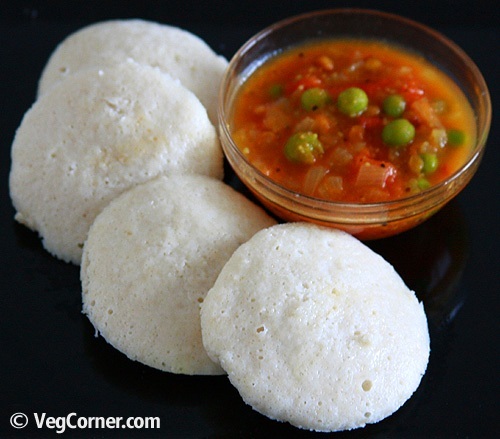 Then prepare idlis as usual following this cornmeal idli recipe. Since it was brown rice idlis, I gave extra time while steaming the idlis. If you don’t have a wet grinder you can prepare the batter in a food processor or an Indian mixie too. In that case, it is suggested to keep the soaked urad dal in the refrigerator so that the motor of the blender does not get spoiled due to the heat it may generate to grind the urad dal into a very smooth batter. I think it is advisable to leave the brown rice in the refrigerator as well because it takes a lot of time to grind even in the wet grinder. Place the vessel which contains the idli batter on a big clean plate. Sometimes the batter may ferment too much and it may start overflowing creating a mess on the surface; then you would have spend extra time cleaning the counter and will also be in a dilemma if you want to use that batter or not. If it is on a plate, even if the batter overflows you would have to just clean the plate and there should not be any problem to use that batter. I see to that I grind idlis on the day I bake something because after baking the oven is still hot and this warmth is perfect for the idli batter to ferment. Even otherwise you can switch on the oven at the lowest setting for 5-10 minutes. Then store the batter inside the oven. Or you could simply leave the oven light on and store the batter near it. The heat from the light is itself enough in some cold places. I also grind the rice batter less coarse than it is usually suggested for idlis because I use the same batter to prepare dosas on the second day. 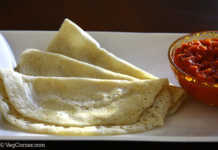 This recipe yielded very good dosas as well. I used 100% whole grain unprocessed Brown rice for this recipe and even I soak the rice for 20 hours, it is still hard and not able to grind in wet grinder. So first i grinded in a mixie and then transferred it to the wet grinder. There are lot of varieties of brown rice in the store. Are all same? What kind of rice we have to use for this recipe? Thank you for posting nutritious dishes. 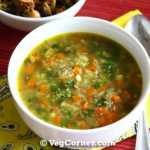 Hi Anuradha, thank you for trying the recipe. I grind brown rice in the grinder all the time and don’t find it difficult at all. I have used both long grain and short grain brown rices so far and soak it overnight usually. Of course it takes more time than grinding plain white rice but its definitely possible. What I usually do is, with the grinder on I add about 1/2 cup of water first and then add the rice. This makes it quite easy. Why don’t you try this? please remove “Arabella” comment, I clicked on the link s/he provided and it looks like a spam type website. Hi! 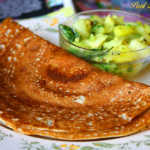 Madhu,Only recently I found out about your blog & have reading them pretty often.Nice recipes! 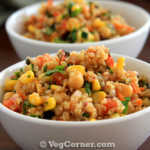 !.Can I substitute short grain brown rice the recipe? ?Recently I baked a b’day cake for my hubby substituting flaxseed meal for eggs.came out pretty well & very moist. I’m sorry Lakshmi for not having answered your question for such a long time. It has been a while since I logged into this site. Yes you could use short grain brown rice also. All the best for new blog, Madhuram…. 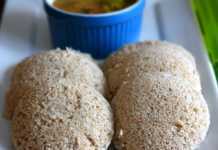 The brown rice idli looks delicious, best wishes for the new blog. I have a vitamix blender. Would it grind the urad dal and rice sufficiently do you think? I am just beginning to explore Indian inspired foods, so I have no frame of reference. Hi Maven, I think it should grind it well. 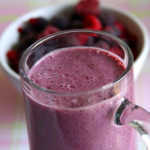 I’m hearing a lot of good stuff about Vitamix. hi madhuram.. all the best wishes for your new site and looking forward for all the tasty recipes coming out of your kitchen. Dear friends, thank you all for your words of encouragement. Congrats on the new site Madhu,…will be checking this for your interesting recipes! Congratulations on the new website! Happy Pongal to you and to your family! Congrats on your new venture Madhu. Iniya Pongal nalvazhthukkal! Congrats on your new blog.Bestwishes for a successful future.